One of our most popular cuff links for weddings! 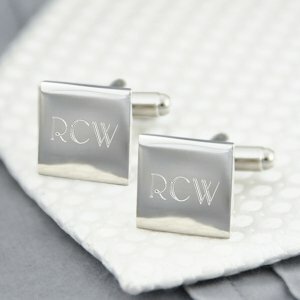 For a unique approach to the classic cuff link, give this square set which is personalized with the initials of someone special in your life. The trendy design will be a welcome addition to his collection of wardrobe accessories. 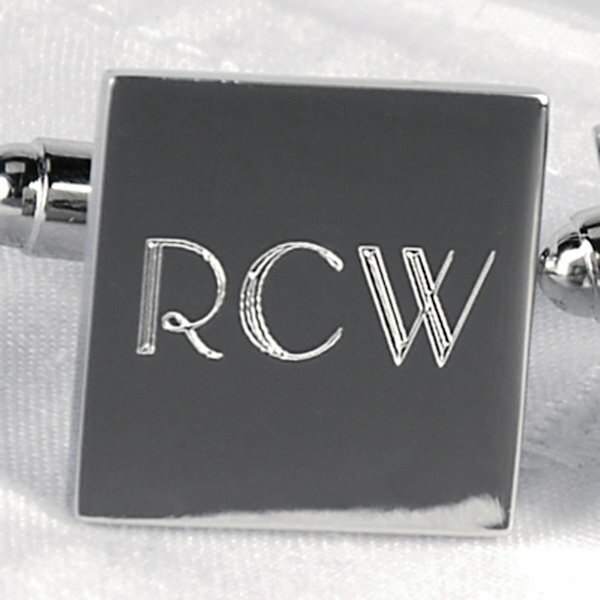 Complete with a silver gift tin, the nickel-plated cufflinks with initials measure 3/4" by 3/4". 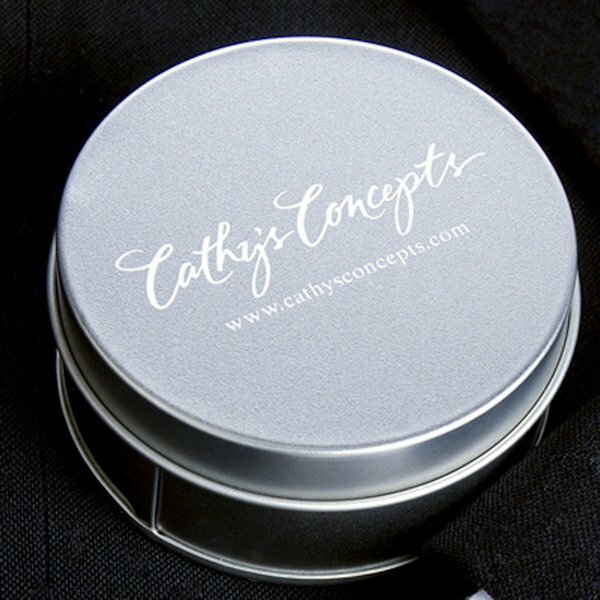 Each set comes with three engraved block initials at no additional cost.